Heat coals or gas grill for direct heat. Remove chicken from marinade; discard marinade. Cover and grill chicken over medium heat 8 to 10 minutes, turning once, until juice of chicken is clear when centre of thickest part is cut (170ºF). Substitution: If you don't care for the taste of cilantro in the marinade, try using chopped fresh parsley instead. Success: To use the leftover marinade as a sauce, boil it for 1 minute to destroy any bacteria that may have been transferred to it from the chicken. Time Saver: No time to make the marinade? 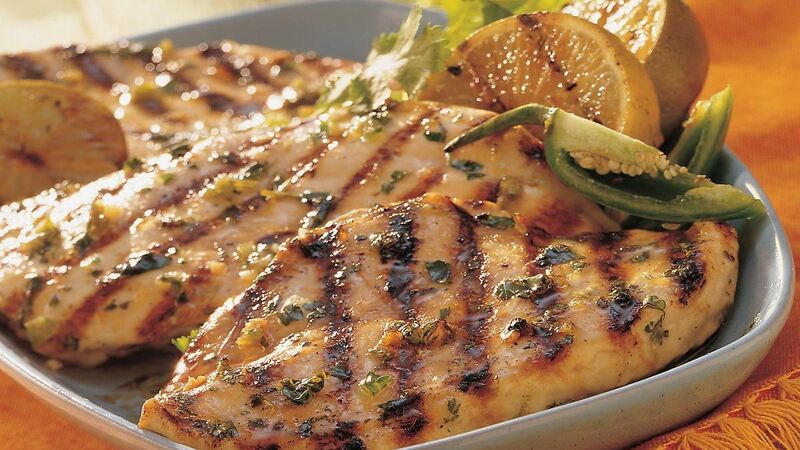 Purchase a tequila lime marinade to use instead.